Have you ever paid close attention to the points in your golf swing where you experience the most tension? In the ideal scenario, you only tense up at the bottom of your swing just before contact. But for most players, though, that’s probably not the case. Tension leads to an irregular golf swing tempo, which causes inconsistency, errant shots, and an overall rough day on the links. In this lesson, we introduce a quick and simple exercise you can utilize to find the tense spots in your swing, and here’s the kicker: all you have to do is hum! 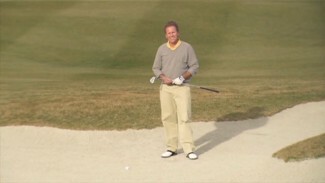 PGA Professional Robert Smith demonstrates exactly how it’s done. Start by picking your spot on the range and taking a few regular swings with your favorite club. 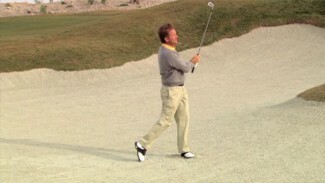 Take note of what your normal golf swing tempo feels like before giving Robert’s drill a try. And when you’re ready, start humming. Listen to the sound of your swing, and see what happens when you slow down a bit. Does the pitch change? It should! 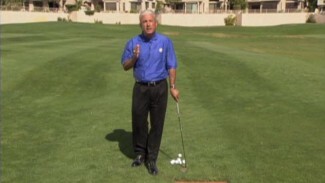 With Robert’s expert swing tips and a little bit of practice, you’ll be amazed at how much the humming drill can affect your golf swing tempo. It’s often the simplest practice drills that make the biggest difference!